Nobody likes the holidays to end, nobody. Especially doting father Shah Rukh Khan, who "hates" it when Aryan and Suhana join college and school respectively after vacations. Suhana, 17, who is finishing school, goes to Mumbai's Dhirubhai Ambani International School but holidays over means 19-year-old Aryan will fly off to California, where he's pursuing a course in filmmaking. Shah Rukh Khan suggests an idea, which all of us want to adopt, actually. "Holidays as they say should really be given a speeding ticket...hate dropping my kids to the airport....when holidays end..." he tweeted on Monday perhaps on his way back from the airport. Shah Rukh Khan and Gauri are also parents to little AbRam, who will soon turn five. Shah Rukh Khan may be one of the busiest superstars of Bollywood but his social media profiles have many examples of typical Dad-like posts. 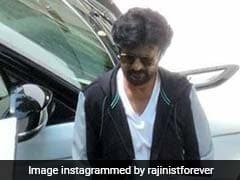 When Aryan joined college in 2016, the Khans dropped him off at the university - that's when the 52-year-old actor Instagrammed this heart-breaking post about Aryan leaving. Sometime in 2015, he posted a tweet about Suhana and Aryan, saying he needs to keep up with their coolness levels: "I think they are turning out lean mean and very cool. I need to keep up..."
Of the many difficulties Shah Rukh faces once the kids are off to school and college, the most crucial one is with photo-editing apps. He made this confession in a tweet last year: "When the little one goes back to school and there is nobody to point out that you are using too many filters!" Shah Rukh Khan, who claims to have a chill parenting style, is perhaps not so chill after all. He may discuss filmmaking and gallis with Aryan but he's also made a list of rules for anyone hoping to date his daughter. 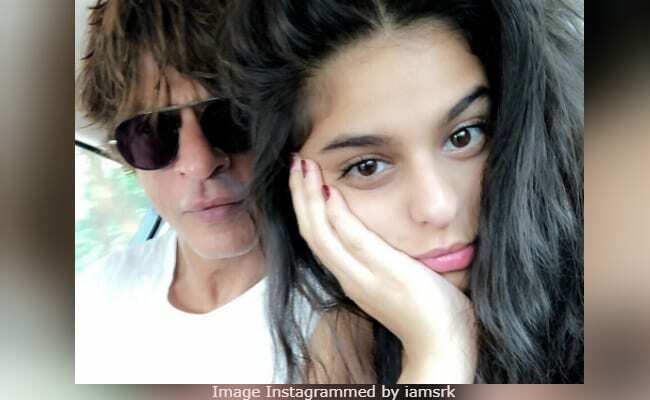 Shah Rukh wants Suhana to complete her education before considering acting as a career. Shah Rukh Khan is currently busy filming Aanand L Rai's Zero film with Anushka Sharma and Katrina Kaif. Zero releases on December 21 and will clash with Sara Ali Khan's debut film Kedarnath.